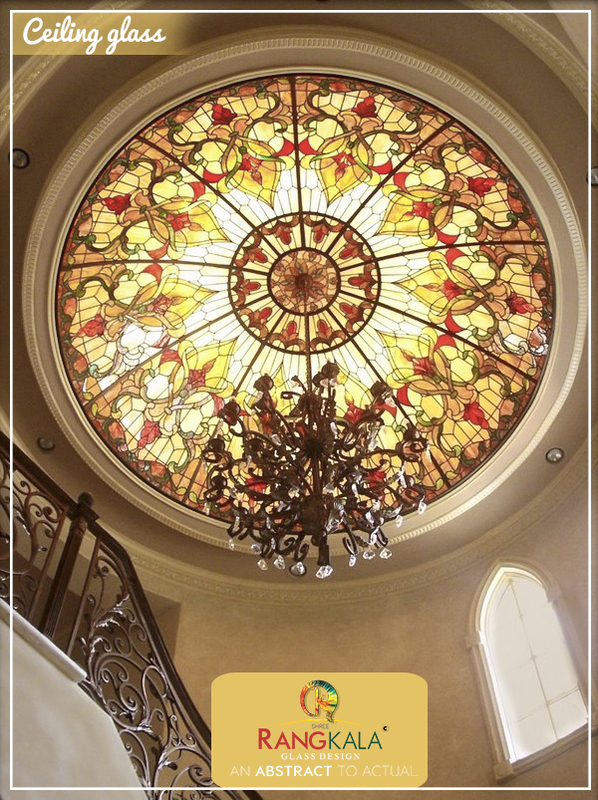 Designing a Great Ceiling Will Help Make a Space Brighter,Create a Beautiful Focal Point,Enhance Gorgeous Architectural Ceilings and Complete the Look of a Room. Ceiling Glass Have Different Style we Self Made-up. We are Creating Customizing Design that are Made Every Unique products and it designer products. We Made-up Glass Textures have been laid over the hand drawn pattern to give a sense of the overall effects. and the most important and interesting and simple ways to decorate the high ceiling apartment is to choose a couple of interesting lights as a focal point after the ceiling glass looks wonder and attractive.